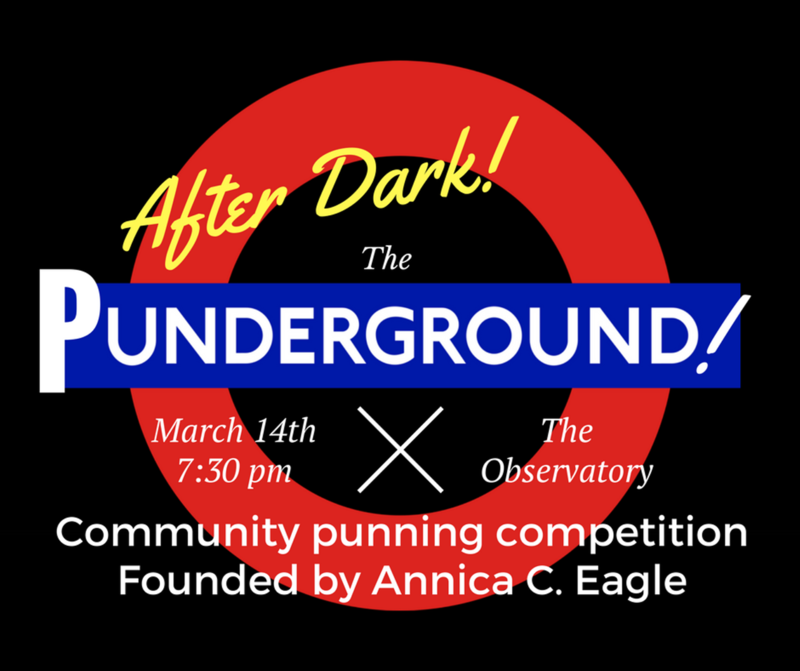 The Punderground is Spokane's only community punning competition, featuring 12 competitors. Includes punny drink specials. Signups start at 7:30, competition starts at 8.